This darling bag is my new 'handbag crush' and if you own, you will induce the envy of every bag aficionado. 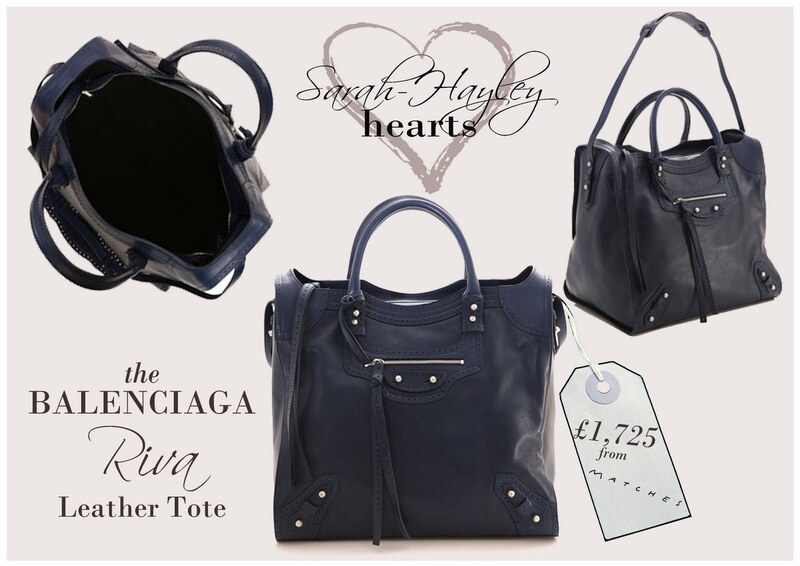 The Navy Riva leather tote by Balenciaga, available from the amazing Matches Fashion, is an updated version of the classic Le Dix Motorcycle bag, with a longer length and more spacious inside. This bag is perfect to team with a sun dress for holiday glamour or casual weekend ensembles to become the epitome of carryall-chic.